I first began feeding winter birds in November 1968 when we lived in rural central Maine for five years. At the beginning of November, I hung a feeder filled with sunflower and mixed seeds from the yard American elm tree, but it wasn’t until a wet, snowy November 10 that the first birds appeared. I glanced out a window of our cape-style farmhouse to see 11 evening grosbeaks in the feeder and on the ground beneath. After that, the grosbeaks appeared during snowstorms throughout late fall, winter and early spring. The following winter the grosbeak flock numbered as many as 100 on snowy days. They were joined by common redpolls, American tree sparrows, blue jays, white-breasted and red-breasted nuthatches, black-capped chickadees, hairy and downy woodpeckers, and a few slate-colored juncos. Even then, I was listing numbers and species and watching and recording their antics in and around the feeders. When we moved to Pennsylvania in late summer of 1971, I hung our feeder from the top of our back porch, five feet from the kitchen door, and spread seed on the back steps and cement pad beneath. Back in Maine our active bird feeder had provided entertainment for the whole family especially our three young sons. And I was eager to see what species would visit our new home. Evening grosbeaks made occasional visits, but there were only a few of them at any time, and before the end of the century there were none. Then, as now, white-breasted nuthatches are the first birds to spot me putting up the feeder every November. Common redpolls are uncommon visitors once or twice every other year. Blue jays, too, are intermittent visitors, having cached acorns for the winter, unlike in Maine where oak trees were scarce and we hosted 14 blue jays at a time. American tree sparrows are almost as numerous here as they were in Maine even though Maine is closer to their boreal breeding grounds. Slate-colored juncos, lumped together with several other junco species in 1983 and re-named dark-eyed juncos, are more numerous in Pennsylvania. Hairy and downy woodpeckers rarely visit our feeders here because they have a large forest of deciduous trees they forage on. But in Maine we lived in the country surrounded by fallow fields that attracted bobolinks and eastern meadowlarks in the spring. Beyond the fields was a patch of mature white pines along a lake that hosted dozens of small vacation cabins, so there were less trees to furnish insects for woodpeckers. We had black-capped chickadees in both places, and I learned to handfeed them here where it isn’t too cold to stand outside next to an empty feeder, my palm outstretched and filled with sunflower seeds. Usually, they landed on my hand within 20 minutes. It took the tufted titmice, watching the chickadees, a little longer to venture near. Tufted titmice and northern cardinals weren’t residents in central Maine in the 1960s as they are now, so I was pleasantly surprised when they appeared at our Pennsylvania feeder. And not so pleasantly surprised when gray squirrels raided it. In Maine, gray squirrels rarely appeared and the more common red squirrels stayed in the pine forest. After struggling to keep the squirrels from our open, wooden feeder in Pennsylvania, I replaced it with a couple tube feeders, which they have not had much success invading. In Pennsylvania the first red-bellied woodpeckers, previously a southern species, arrived in our yard in 1980, and after a few years became the most common of our feeder woodpecker species. In 1986 Carolina wrens, another southern species, visited the feeder area, although several times their numbers were reduced after severe winters. Lately, though, our warmer winters have kept them alive and thriving. Once Project FeederWatch was launched in 1987 by the Cornell Lab of Ornithology, I started paying even more attention to feeder birds, devoting portions of two consecutive days each week to counting numbers and species. Writing in Living Bird, the magazine of the Cornell Lab, Gustave Axelson summed up some of the results of Project FeederWatch studies. Common red polls used to irrupt south from their boreal breeding grounds every other year when aspen and birch seed crops were lower, but beginning in 2005, some FeederWatch counts in low redpoll years have been higher than expected and may mean that food in the boreal forest is scarcer. Cooper’s hawks are not migrating to Mexico as much as they used to. 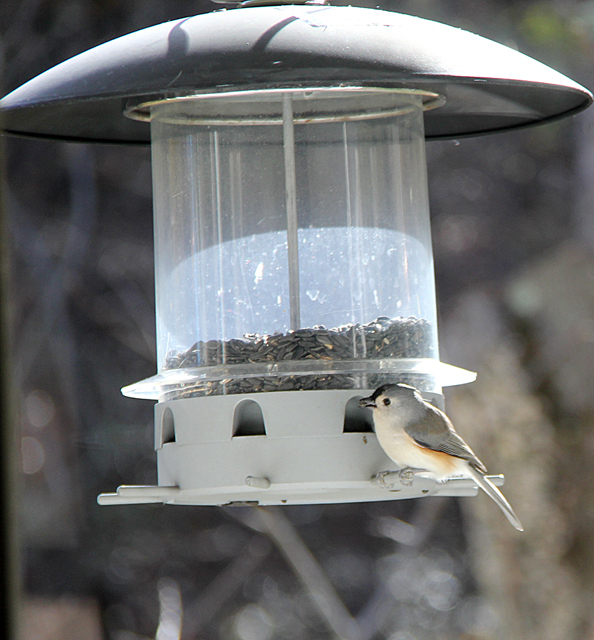 Many hang out near feeders, as many bird feeder watchers can attest to, probably because they have learned that feeders attract large numbers of prey such as dark-eyed juncos and American goldfinches, but their predation has not affected the overall numbers of these common species. Northern cardinals have expanded their range and are now reliable feeder birds as far north as Quebec, New Brunswick and Nova Scotia not only because of bird feeders but because more people are landscaping their yards with shrubbery that provides cardinals with more food and cover. Biologist Bernd Heinrich, writing in Natural History, recounted his studies on how birds managed to recognize and then use a food as foreign to them as cultivated sunflower seeds. First he watched as white-breasted nuthatches and black-capped chickadees often picked up seeds and then threw them aside. Heinrich opened those seeds and found them empty of a nut. He hypothesized that the birds were testing the weight of every seed, knowing that if it was too light, it was useless as food. Blue jays do the same as chickadees, although they need a larger branch for their larger feet. They too use the same branch over and over, but unlike chickadees that don’t cache their seeds, a blue jay will sometimes fill its buccal pouch with seeds and fly off to cache them. Nuthatches and woodpeckers take the seeds, one at a time, fly with it to a favorite cleft in tree bark, shove it in the cleft, break it open with their beak, and eat the nut. Heinrich also wondered about predation risk and hypothesized that, “if feeding efficiency is measured in terms of the least time needed to forage for the most food secured,” then mourning doves and wild turkeys are best at this. Heinrich’s doves come at first light and dusk for three minutes at a time and eat 90 seeds a minutes. They spend the rest of the day sheltered in a spruce/fir thicket digesting the seeds. Wild turkeys eat 135 seeds a minute. Both species have crops where they store their seeds. While resting, they move the seeds to their gizzards where they are ground up. A Cornell Lab study tackled the question of how black-capped chickadees, tufted titmice, white-breasted nuthatches and house finches weighed the possibility of starving on a cold winter’s night to risking predation while eating birdseed to sustain themselves. They set up feeders near the Lab’s headquarters that contained radio frequency identification (RFID) technology. Then they captured and fitted the birds with little RFID tags which enabled those feeders to record every bird’s visit. In two winters they recorded 472,368 feeder visits by 94 tagged birds. All four species began eating at the feeders a half hour before sunrise and visited more and more frequently as the day passed Their numbers peaked two hours before sunset and then declined sharply for all but the white-breasted nuthatches. 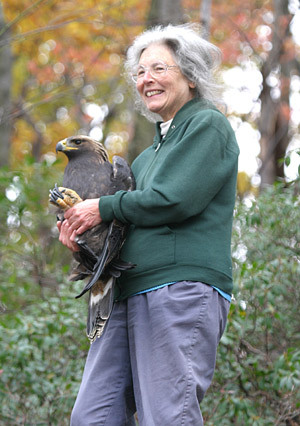 They hypothesized that the birds are less concerned about day-flying predators—Cooper’s and sharp-shinned hawks—than they are nocturnal predators, primarily eastern screech-owls. Still another Lab study was on whether bird-feeding hurts or helps birds since more than 50 million North Americans feed one million tons of seed to birds every year. They studied 98 species of birds that use feeders the most and found that they do as well or better than those birds that don’t use feeders. Feeder species showing declines, such as evening grosbeaks, seemed to because of other pressures like habitat loss. Conversely, those that needed the most help, such as seabirds, shorebirds, and tropical birds, are not feeder birds so we aren’t helping the neediest birds. Still, no matter where we hang our feeders, we can feel a connection to the natural world that may inspire us to advocate for those many species that need our help. This entry was posted in Bird feeders. Bookmark the permalink. I don’t normally comment, but if all those millions of folk feeding birds understood that much bird habitat loss is due to growing the very (non-organic, pesticide laden) seed used at the feeders and to supplying them with the necessary equipment to feed, maybe they’d think twice about feeding them. I am all for community feeders at conservation areas, parks, etc., but not the millions in backyards. Bird feeding is a form of human entertainment, not communing with a wild creature doing it’s wild thing. It’s another distortion of the wild that humans like to promote as possible a good thing, much the same way they do zoos. It’s a mediated experience that requires a human to change the nature of a bird. I’d like to see those millions of folks truly being wowed by an experience of a wild bird being wild. I understand where you are coming from, but the Cornell Lab scientists have studied this as have others and seem to feel that it does no harm and, in some cases, does some good especially in challenging winter climates. In addition, it encourages more folks to engage in citizen science, which has been helpful in the study of bird species, numbers, and declines. I don’t believe in feeding birds during the spring, summer, and early fall months when natural food is available. That is when I devote myself to watching the wild birds. I do so in the winter too and have a hands off attitude. Still, the argument is that feeding birds does encourage folks to be more aware of the natural world and more caring. Frankly, we need all that kind of thinking we can get.